‘Lost Revolution’ was the title of Rohan Gunaratne’s part-fiction, part-fact account of the second JVP insurrection, i.e. the one which ended with over 60,000 people being killed between 1987 and 1989. Puritanical Marxists, ex-JVPers included, would balk at the use of the word ‘revolution’ to describe that particular adventure. The strange arrangement of words, ‘lost’ with ‘revolution’, hints at ‘possibility’ and squandering of the same. In other words, that there was something that was ‘winnable’ here. It is easy, in retrospect, to say ‘it was doomed’. It’s been a long time and long-time gives perspective. The debacle was remembered this year (on November 13) by two groups, separately. It made me think of ‘old’ and ‘new’, of both the general ‘Left’ and the JVP. The JVP had a selling point when the party was launched in the early sixties. ‘New’ was the tag, which simultaneously pinned ‘Old’ on the Communist Party (both the ‘Moscow’ and ‘Peking’ wings), the LSSP and other groups that had splintered over the course of several decades. The ‘old’ or rather the strength-wise significant sections of it had moreover sold out by entering coalitions with the SLFP. The JVP would be different. It was. It was, in 1971. Different in approach to politics. Different in dreams dreamt. Different in assessment of victory potential. They went for guns. Got gunned down. Back then there was nothing to suggest that the much talked of ‘objective preconditions’ had matured to a point that warranted an armed strike against the state, except of course that the state was ill-prepared to handle armed insurrection, a weakness that was quickly sorted out. Years later, as Gamini Samaranayake points out, the LTTE picked on the state’s seeming incapacity and prospered, not because the state was incapable but successive governments weren’t sure of the state’s ability to wipe out such a movement. By 1988, the JVP was still young, although its leader was pushing 50. In 2012, the JVP and its leadership is ‘old’, not just in age but in terms of the perennial youth-queries ‘relevance’, ‘knowing’ and ‘method’. The JVP had its moments. It was a self-styled punchi aanduwa (small government) that did a lot of big things including holding the maha anduwa by the proverbial short hairs on occasion, not to mention assassinating some big names. Following the elimination of the entire leadership (apart from Somawansa Amarasinghe) in a matter of a few days, the JVP went out of circulation. For a while. 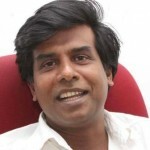 It re-emerged following the assassination of President Premadasa, using avenues created by the Lakmina newspaper where Wimal Weerawansa, using the penname ‘Wimalasiri Gamlath’, first made his mark as a phrase-turner, and of course the spaces for politics reclaimed by the ‘Jathika Chintanaya’ group. In 1994, the JVP used the vehicle of that good hearted by naïve politician, the late Ariya Bulegoda, to return one member to Parliament. Until then no one had heard of ‘Galappaththi’. By the year 2000, the JVP had 10 MPs and the following year 17. In that one year, the JVP succeeded in dictating terms to President Chandrika Kumaratunga, making for a new addition to the political lexicon, ‘Parivaasa’ or ‘probation’. It was short-lived, naturally, but in that brief period the JVP authored and got through the only Amendment passed in Parliament since the UNP lost its two-thirds majority in 1989. The 17th Amendment was flawed, but it is the only concrete measure that sought to restore balance to a constitution heavily favoring the executive. The JVP also got some important decisions from the Supreme Court, most notably a determination that the North and East should not remain merged. The JVP played a key role in bringing down the UNP Government of Ranil Wickremesinghe by persuading the then President to dissolve Parliament and contest as a coalition. The result was a massive surge for the party, with 40 being elected mostly from SLFP votes. The JVP, by that time, perhaps emboldened and cocky, and thick in parliamentary/coalition politics, no longer deserved the ‘radical’ tag. Indeed it had all but buried all Left pretensions. It made a massive error by supporting Mahinda Rajapaksa in 2005. It was a gross underestimate of the man’s potential. Within a couple of years, the new President had ensured that the JVP needed him more than he needed the JVP. The second error was when the JVP decided to go it alone in the local government election, rejecting the President’s offer of control in 25 bodies. They even lost the one they had, Tissamaharama. It was downhill thereafter. 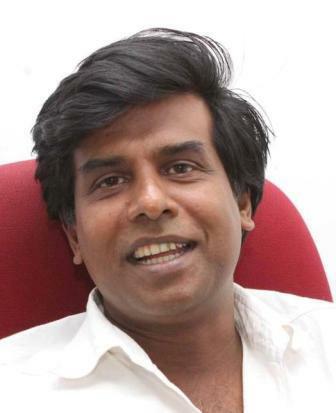 The JVP lost its most vocal spokesperson, Wimal Weerawansa, whose oratorical skills more than anything else was responsible for the resurgence of the JVP after the 1988-89 debacle. In 2010, the JVP was forced (like the UNP) to back Sarath Fonseka to save electoral blushes. They clutched on to him long enough to win a few seats at the April 2010 General Election. Then the final blow: a new split, and one on old-new/conservative-radical lines. With it, the JVP lost its main agitation front, the Inter University Student Federation, whose hot-bloodedness found the Frontline Socialist Party more attractive. And so, on November 13, 2012, the (mis)adventure of 1988-89 was commemorated by two groups, the JVP and FSP. Both seem to be fighting for ‘rump’ status, which alone speaks of the party’s decline in recent time. The latter, though, is amply equipped to fancy another 1971 or 1988-89. Tilvin’s group has had it. If elections were held today and the JVP went alone, they will go back not to 2010, not to 2001 or 2000, not even to 1994 but to that seat-less period before. As for ideology, there’s no need to worry. The JVP was never hot on ideology, not even during Wijeweera’s time. They were good slogans. Good at coalition politics (just like the LSSP and CP). Good at helping unpopular regimes regain control by inviting suppression. Good, therefore, to help snuff out tens of thousands of lives. Only, this time, it won’t be the likes of Tilvin, Vijitha, Anura and others who will do it, but the ideology-bereft, cloak-dagger-loving firebrands plotting ‘revolution’ with ex-LTTE cadres and politically displaced individuals such as Kumar Gunaratnam. ‘Revolution’, then, was a faded banner that there was no one to grab and made it possible for an adventurer like Wijeweera to obtain youth appeal. There was no ‘revolution’ that was ‘lost’; only young men and women who were unfortunate to have been born in the sixties and early seventies. It is not a history that we can afford repeated. If 1988-89 is to be remembered only the learning of this lesson matters. Get with the MAIN STORY MS and bring out the champagne! Like the JVP, the Rajapassa regime lacks principled ideology and the regime is about to roll over. Rajapassa has been checkmated on the impeachment of the CJ by his Kangaroo court in the form of a PSC full of his crooked cabinet members of goons and criminals — with the news that the petitions against the PSC will be heard by the SC! REGIME CHANGE IS INDEED THE NAME OF THE GAME TODAY henceforth, the tipping point is here and now, and Rajapassa]s days like those of the JVP are numbered! SL civil society is finally asserting itself in the face of an absolutely bankrupt political opposition led by the other dictator Ranil Wickramasinge. Bring out the champagne. This is the first good news since the LTTE was defeated back in May 2009! The wheels of justice turn slowly but surely and the Rajapakse regime’s days are numbered..! Long live the newly awakened Lankan judiciary and civil society, and the slow blooming LANKAN SPRING that will see the overthrow of the most vile dictatorship, and see the winds of freedom flow and transform the country into a democracy again! I really hope you are right, because this is the first good news for the people of this country in aeons! You are so right about Rajapassa and the other “Passa” guy Ranil, too!! James – To echo Anti Boru, sure hope you are right. However, it is unlikely that MS will “get with the main story” as his recent history shows his ‘loyalty(? )’ to the Rajapassa and “…his Kangaroo court in the form of a PSC full of his crooked cabinet members of goons and criminals”. Good story of the JVP, losing its fizzle with age and an ageing leadership. Same applies to most of our other leaders like MR. Mahinda Chinthana, Idiri Dakma and now Ekadipathi Adhikaranaya. Divinaguma, Uthuru Wasanthaya, Neganahira Navodhaya, Maga Naguma, Helping Hambantota all catchy names and slogans appealing to the youth and masses. What matters is the core values and results which are often lost in the fancy words, layers of pomp and pagentry. Ultimately when the youth and masses realise they are being diddled, the rot begins. Maga Neguma – What is the cost of a Km of road? Uthuru Wasantha – Has it benefitted the IDP’s who are still in thagarang shacks? Idiri Dekma – Is it what the 18A and stripping of the CJ is all about? Divineguma – An attempt to monopolise the budget without any scrutiny or accountability? An of course Helping Hambantota – buried by our former CJ Sarath Silva. Leave out Mahinda Chinthana, Idiri Dakma, You have no clue about Divi-Neguma for you look at it anti-Rajapakse dlasses. Otherwise you wouldn’t say Divi-Neguma is an attempt to monopolize the budget without any scrutiny or accountability. In essence, Divi-Neguma Development Department Bill creates three infrastructure set ups 1) Village level Communities, 2) Community Banks, and 3) Development Department. From what I read, these are extensions for Samurdhi program to eradicate poverty. To be exact, the first two are not administered by the government and state officials. They are organized just like all other known rural societies such as death donation societies (maranadara samithis) and women’s organizations (mahila samithis). The third one, ‘Development Department’ participate as a facilitator. So where is the fraud? The objectives of the Bill Minister Basil explained (a) poverty alleviation to ensure social justice (b) promoting economic development activity focusing on individuals, groups and families (c) ensuring the food security of each individual and family (d) unifying and empowering people to accelerate development (e) providing micro-financial assistance for raising the income levels of people and (f) developing physical and social infrastructure required for the same purpose. Leela – What is that ‘secrecy’ clause in aid of? Divineguma aims to put 80 Bn rupees at the disposal of BR without any controls, approvals or accountability. We already have a well established system of Governance that operates at Provincial and District level. People alraedy constitiue communities and there is no need to have communities within communities. We already have a system of commercial banks as well as a number of state banks coming under the purview of the Central Bank. What then is the need to place a bundle of 80 bn Rs in the hands of BR to distribute through a new banking system solely at the discretion of the family. There is also a danger that these divinegumuma communities will be racial and religous oriented and discriminate against the minorities. There are enough and more legal and transparent ways of helping the poor and under privileged without creating another monster in the hands of the ruling family. Where do you live? Do you know that you cannot gauge thing like this from afar. You have to be with the people to understand their need. Divi Naguma is aimed at the poorest section of our community. They are the ones that receive Samurdhi support right now. This would take them one step further. Aim is to take many of them out of that poverty line in a few years. What Provincial and District level governance you are talking that helps poorest section of the community other than Samurdhi. There is none like Samurdhi, my friend. Ceylinci-gramin and etc are not much different to village money lenders. I live in a village. No commercial banks lend money to the people we are talking about. Banking procedures are too cumbersome for them. They want borrow on trust and quick. I have seen money lending sharks lending them small sums (500/- -5000/-) at 10% per month immediately. Often, they use that money for anything from cultivating paddy fields to improvements of their houses. As I see, they will be the beneficiaries from this. It would be interesting to know EXACTLY what you are trying to say in the fractured language you use. However, anyone who uses that unregenerate stooge, Chandraprema,as a person with expertise on anything reveals what she really is and who she is serving. There may be a simple word missing or one or two spelling mistakes in each of my comment for I do not have time to recheck them. I write these comments in between various work including fieldwork in my estate. But if you cannot understand what I have written and grasp its meaning, then you have a serious comprehension problem. And I suggest you attend some classes to improve your comprehension. But tell me, what is this “the fractured language” that you were talking about as I have used? And next, I do not understand what do you mean by ‘unregenerate’? Is there such a word? I say; you ought to learn a bit of English grammar as well, old boy. feeding on the ignorance of the literate marginalised rural Sinhala poor in the hinterland. No wonder the Sinhala electorate has rejected them progressively in recent years. Their kind of politics only fooled the Sinhalese and produced instant millionaires like Mahinda Wijesekera and now Wimal Weerawansa – who as Anura B described Jeyaraj Fernandopulle “came in worn out Bata slippers on broken bicycles and now emerge in luxury cars from super mansions” That is how these revolutionaries took the gullible country for a ride. “The JVP also got some important decisions from the Supreme Court, most notably a determination that the North and East should not remain merged” This is giving undue credit to the JVP. The damage was done more by the JHU and the Buddhist Sinhala supremacists – using the affable HL de Silva. Sarath Silva was right there to readily oblige. The country will see, in due time, the damage flowing from this desecration of a solemn agreement between 2 Govts although the Indo-Lanka Accord and the 13th Amendment need to be revisited to respond to the events of today – a quarter century after its birth. You have written it all in brief but I say, hadn’t miss a single point. I wasn’t here when Wijeweera started his movement or when his party, the JVP tried to grab power for the first time. But during their wilderness and in his second try, I’ve experienced and witnessed all their deeds. As you say, the old JVP is as good as dead because MR knows how to look after its cadres better. But FSP followers are a different kettle of fish altogether; they could be more dangerous to the country than the rump LTTE in time to come. No body has anaylsis real JVP politics in this essay.Since 1965 day foundation of JVP was anarchist-adventhurist- terrorist outfit. JVP has nothing to do with Marxism or Leninsim.They were follows of Che Guvura of who was Anti-Imperalist revoluationay in Latin Ameriaca. I am not insulting Che at all,but his limited role of Revoluationary politics have nothing to do with Marxism.He was revolutinoary Democratic of anti-Imperial struggle during Natioanl liberation war agianst of imperial york. But in the case JVP was differant,JVP was never anti-imperalist,PDN Wjiweera is agent of KGB,train and funded by Soviet Revisoinst Bunch of Rouges. JVP done irrapeble damage to New working class movement after decline of OLD LEFT OF LSSP AND CP(Moscow) Wing in our an island. He was kicked out of USSR for his anti state activities in that country. He was planning a revolution in the former USSR. Now you see whence Weerawansa got the inspiration. This writer should have been born yestreday. From what I have seen and heard – from that day on our people have prefered white or fair complexion to dark skin colours. I have heard many saying kalu kella, kaluwa.. .. kallu kolla .. not once several dozens of times. NOt only once they are born, but also in marriage proposals, almost everyone prefers fair skinned than the dark skinned ones. Reader S. Bandara is right. Wijeweera/JVP took on the Che Guevara name to be distinctly different from the older Left. It is possible even the members of the Politbureau would not have known where Guevera is from or his name. However, the able organiser he was he was able to impress the literate – mostly unemployed/unemployable- Sinhala rural youth, much of them from the South of the Bentara River, he had a solution from the Left outside the CP/LSSP/NLSSP to all of their problems. The rest is far well known to the current generation. As to Che, he was a committed, romantic Communist from an average Argentian family who would have made a good Doctor of Medicine. But he was pained to see the massive exploitation of the South American peasantry – Red Indian, Molettos, of Spanish origin and so on – by the local and foreign Capitalists. He sacrificed his life to the “revolution” and will be history kindly. Fidel and Che formed a great duo in those late 1950s-early 1960s when the developing world was getting out of the colonial yoke and was decidely anti-Western – what with Dulles, McCarthyism and the lot around. Of course, this is an area in which Dayan J is a recognised expert and knows more about the subject than many in any part of the world – truly a good first all Lankans can be justly proud of. Senguttuvan…sir,,in fact he is Anti- JVP… ,Dayan Jayatilaka is one of unremorseful an oppounist had been created by post-modern left political history of Ceylon/Sri lankan. Look at his political carrier he had been right wing politcal parties as Advicers Capacity and Founder of Actor turn political party of Mahaja Pakasa ,then transverfer into Minister of North -East Provincal Concil,then move with to MR government as Ambassdor In Geneva and Paris;writing DJ well good,he to safe guard his uninlelligent political background ,he has taken Fedil Csatro and Che Guvra politics to coverup real POLITIACL CAPITULATISM. As young( DJ ) student start with anti- Mao supporting Che,very begging, DJ was anti-JVP move talking of Stalisim,gradully he become auhority of Fedidal and Che. Political of his immoral as are similar to JVP as beytral of working class in country New Left Movemnt. JVP and DJ two sides of same coin of so-called “SOCIALSM” IN SRI LANKA. If one cannot change with times and events he is indeed a fool. Unlike some separatists here, I see Dayan is no fool at least in the face value. Leela – Maybe you missed my question (above), but I’d really like to know what the ‘secrecy clause’ is in aid of and if you think it is necessary, why? I am sorry that I have missed you. Please elucidate me by quoting that ‘secrecy clause’ in full and I shall try to present you with my views.